Crystals of shallow salt in a scoop, spoon on a dark gray table. 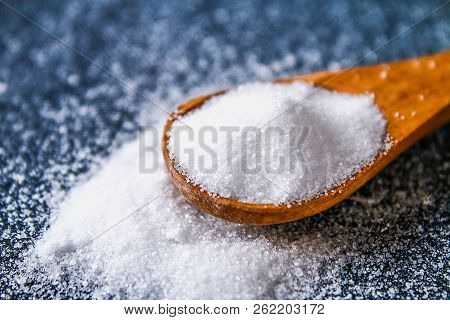 Background for advertising salt. Table salty. 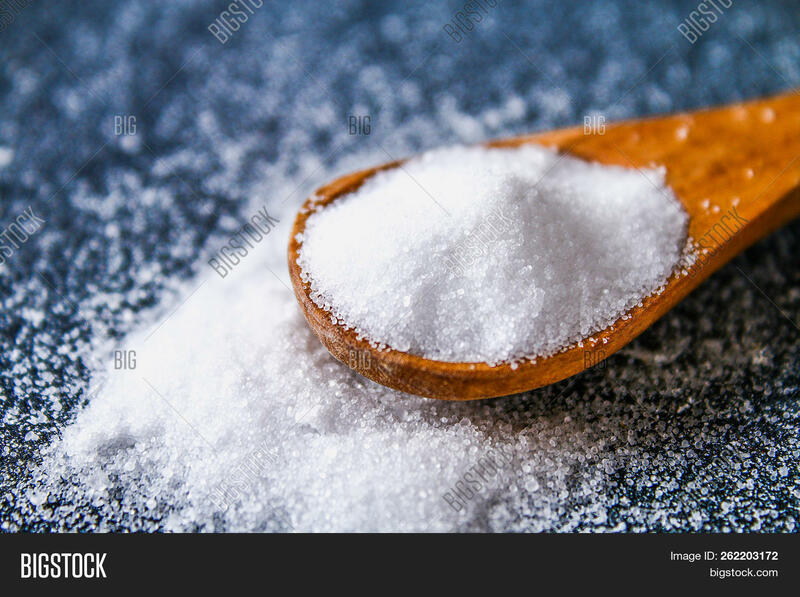 Salted food.